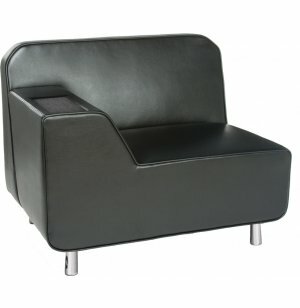 Create a cool, calm waiting area with an elegant, contemporary office lounge chair from OFM. 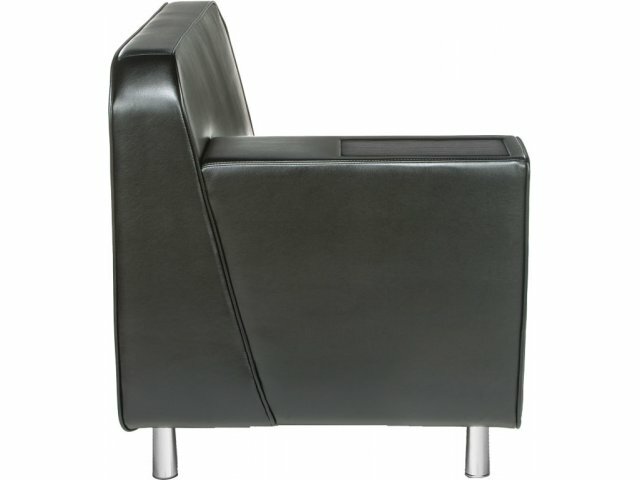 Give your space a major upgrade with office lounge chairs from the Serenity Series by OFM. 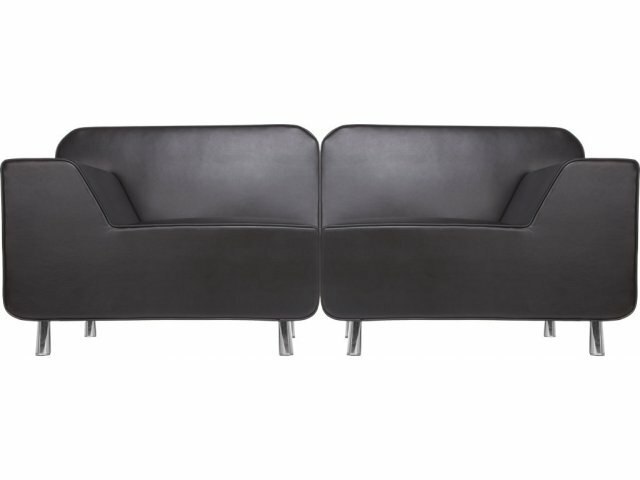 Unique modern style and an innovative functional design are sure to impress your clients. A built-in laminate table offers the perfect place for reading material, a tablet or other devices. 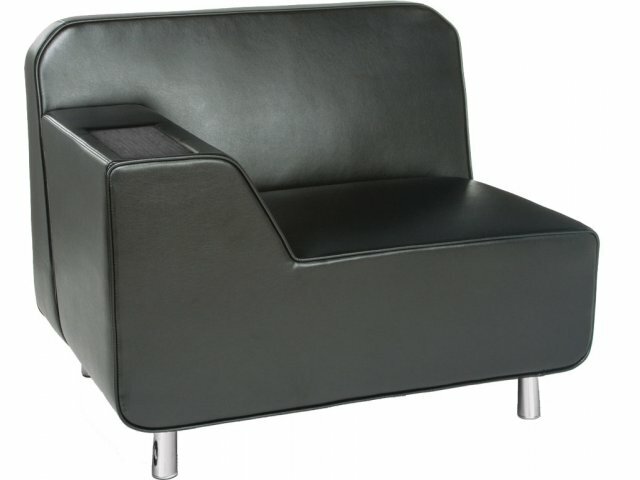 These office lounge chairs are designed for your busy, successful company. The full wooden body structure and chrome legs can support an incredible capacity of up to 500 pounds. Durable, low-maintenance, industrial-grade vinyl upholstery has an attractive appearance, complemented by the table finish and legs. 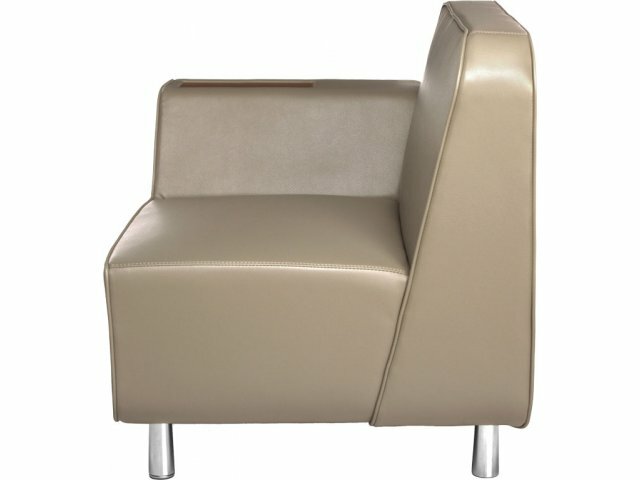 With so many great features, these reception chairs are sure to become a fast favorite in your waiting room or lounge. User Friendly: Laminate table offers a convenient place for devices or reading material. 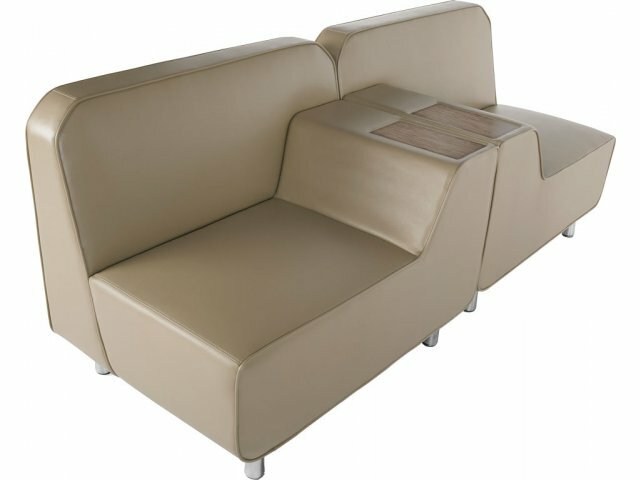 Sleek Upholstery: PVC-free polyurethane vinyl upholstery has a modern appeal and is very easy to clean. Durable Build: Includes a full wooden internal body structure. 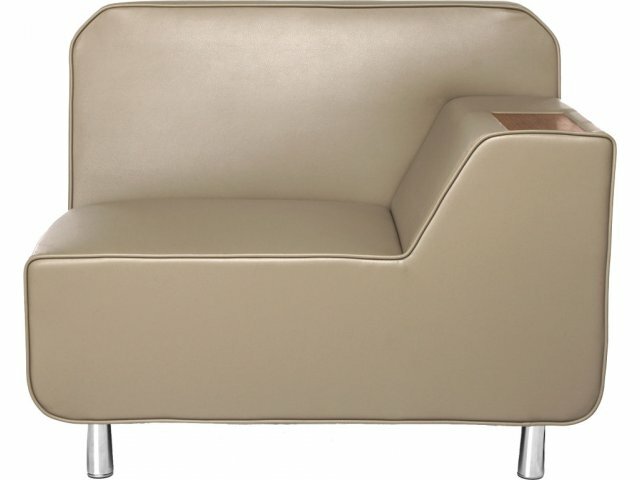 Attractive Support: Chrome legs complement your choice of upholstery color. Super Strong: Supports an incredible 500 lb. weight capacity. No hassle: Comes fully-assembled, just attach legs.